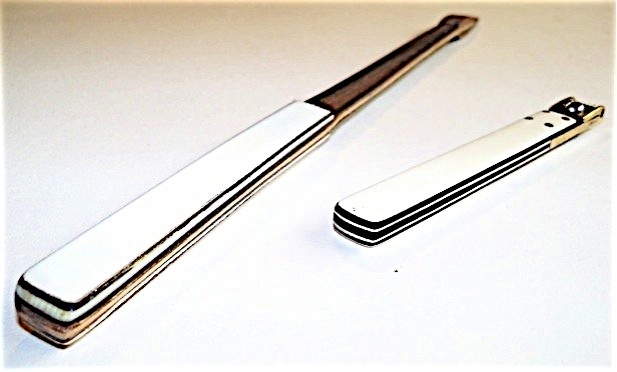 This is the prettiest mute I have seen, with rosewood veneer along the length, ivory, celluloid, and veneer laminations for a handle, and a solid leather muting wedge. It looks to be made by an experienced craftsman for personal use. The voicing tool on the right has a similar laminated ivory-and-wood handle. A side view, showing laminations and solid leather wedge. Old leather and wood split mutes. The slot off center on the lower mute is not a mistake. This was done to take up varying spaces between strings. Clearly, lead was not seen as something to avoid. I made these mutes from Macassar ebony and deerskin, inspired by the excerpt above. I use ones like these daily. 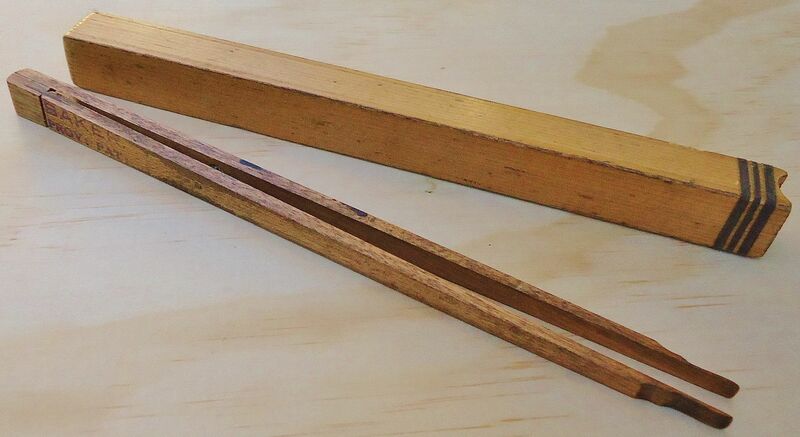 Double cane mute, and wood and shoe leather grand mute. British. An assortment of old mutes, a few with finish, but most without a finish. 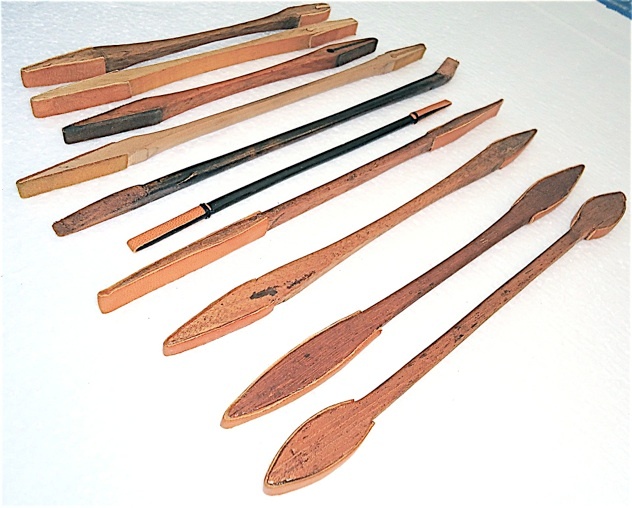 They are made of maple, beech, ebony or mahogany. Many shapes are represented from very narrow to the wide spoon shape in the foreground, which I’ve only found useful for muting at the end of sections between the plate strut and the string. 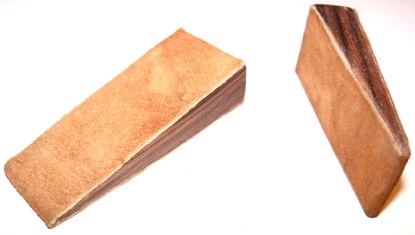 Close-up of solid leather wedge on fourth mute from the top. Wire mutes. 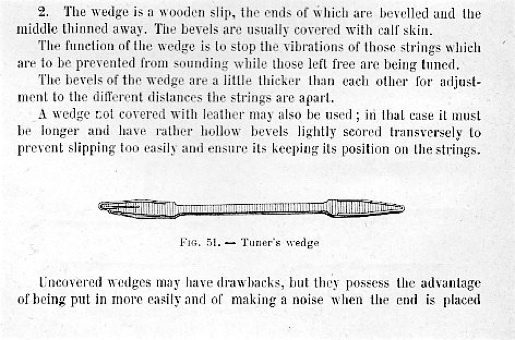 The old ones often had threading on the tips to insure a secure attachment inside the rubber wedge, a small detail which is missing in later wire mutes. 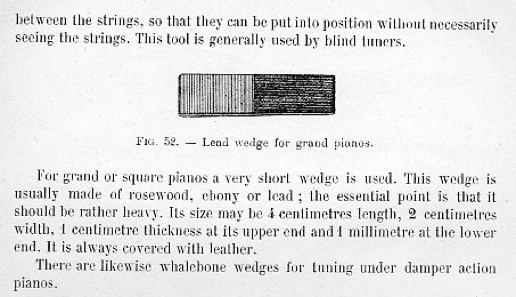 Papp’s tuning wedge, “the fastest muting wedge in the world,” according to Fletcher and Newman Ltd. Papp (of Papp and Son, piano makers , Portsmouth, UK) invented this tweezer-type mute in 1886. 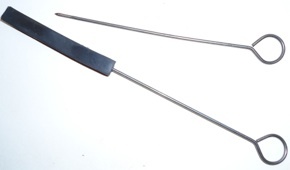 It is used for uprights to stop any two strings of a trichord from sounding, utilizing outward pressure from the spring action. This tool does make quick work of muting strings while tuning. 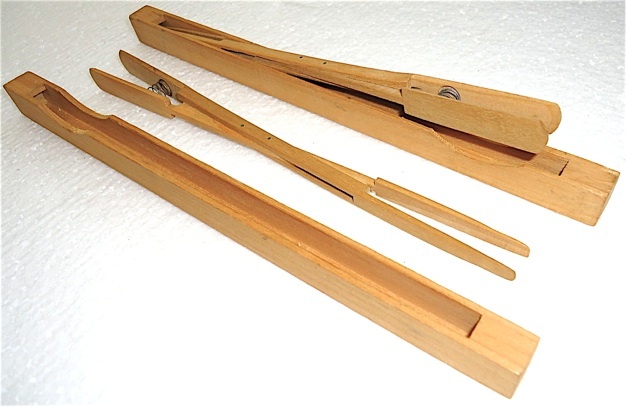 The old Papp’s mutes were made from very light wood, until switching to nylon in the 1960s. Thanks to Bill Kibby for this information. Papp’s mute The Musical Times, vol 29. c 1888.